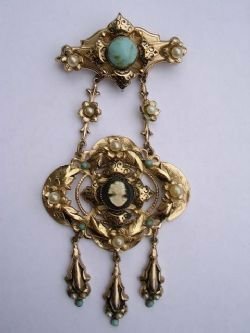 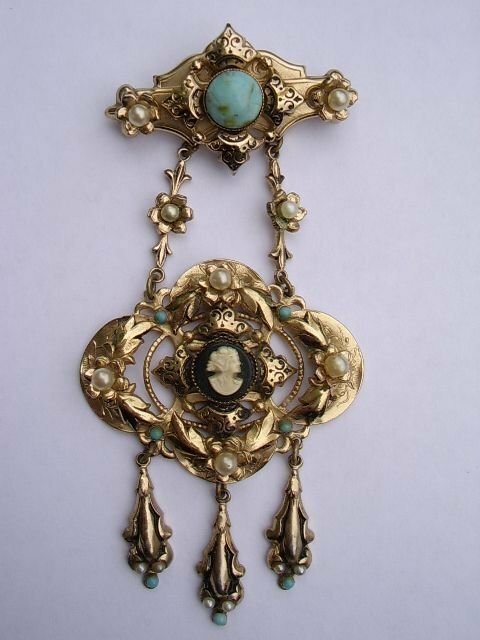 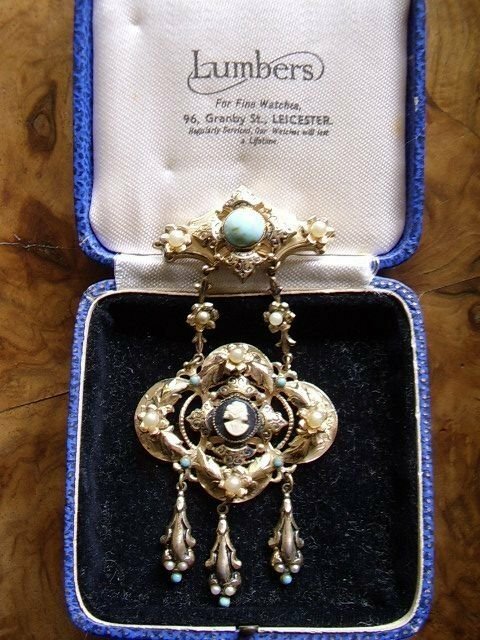 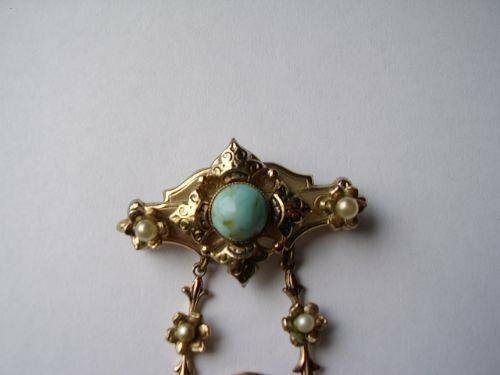 A magnificent hand crafted and intricate ladies pendant broach made from "Rolled Gold " on brass base metal and decorated with pearls and florrel leaf foliage throughout being finished with cabochon turquoise blue polished stones. 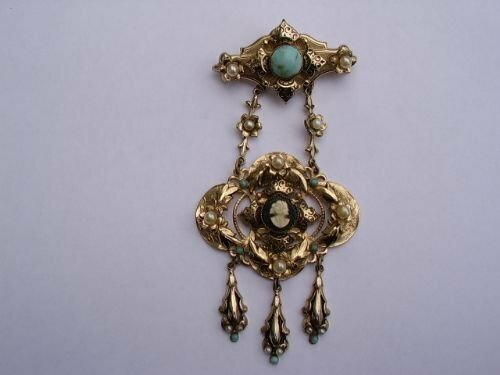 Decorated with three teardrop shaped appendages holding small round polished cabochon turquoise blue stones and having an upper tiered larger main cabochon setting with rear pin clip fastener behind. 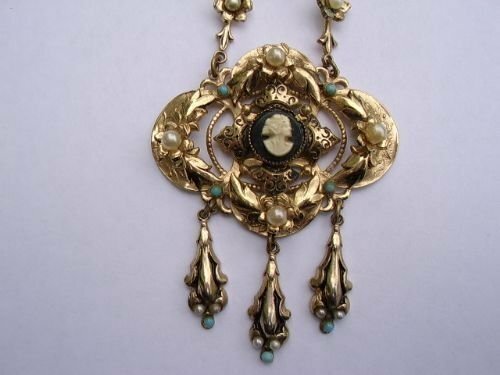 The quality is excellent with minute attention to detail.